Description: There’s a lot of affiliate systems out there, but they nearly all look like they were created in 2003. 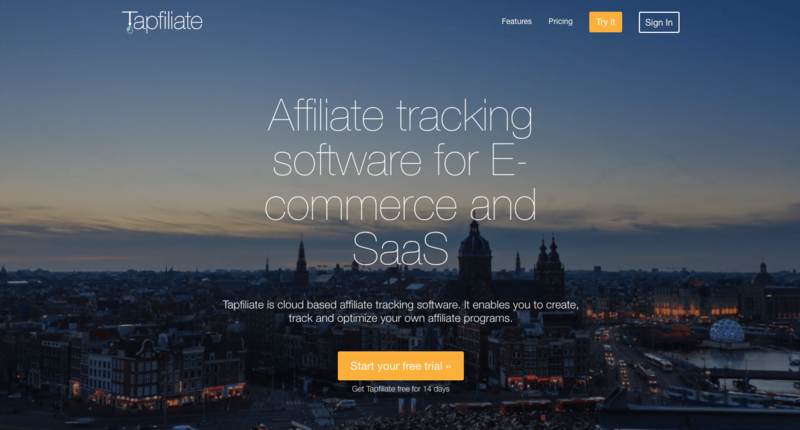 Tapfiliate is a really well designed turn-key affiliate system with a beautiful dashboard. It’s great for e-commerce and SaaS companies. If you’ve been thinking about trying the oldest growth hack in the book, affiliate marketing, then Tapfiliate is a system I’d recommend. 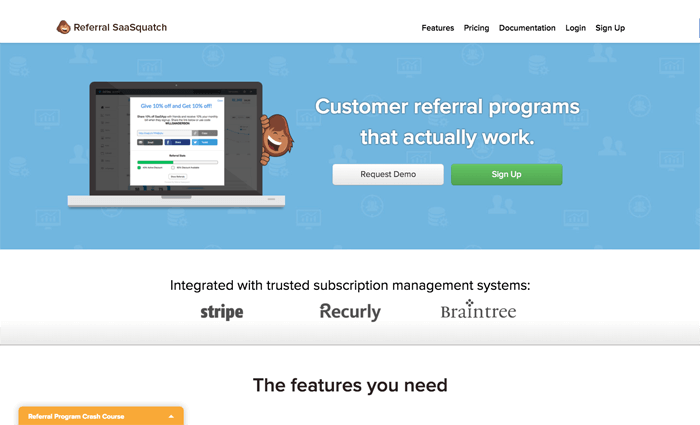 Description: Rewardful is a simple way for SaaS companies to setup affiliate and referral programs with Stripe. Just connect your account and they will track referrals, discounts, and commissions for you. Description: Builds a pre-designed affiliate feed website for you. Just buy a domain name, plug in feeds and filter them however you want, the rest is taken care of. Description: An affiliate program, with the classic setup in which you give a certain percentage of sales to the site that originated the traffic. It's easy to set up the page for your affiliates, and there are a ton of companies using it. Fairly modern design and quick support make it stand out among a sea of outdated affiliate system offerings with design styles from the late 90s. 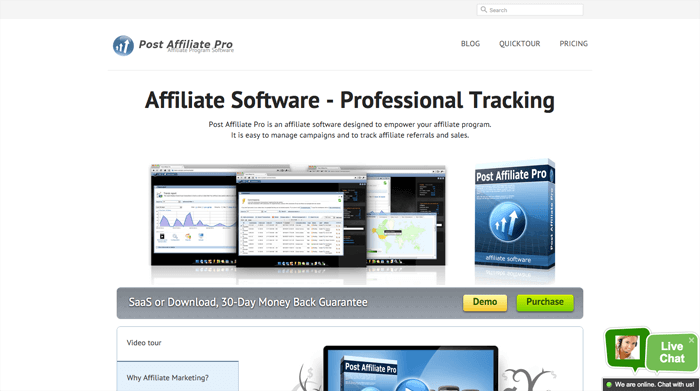 Description: After seeing so many affiliate systems and dashboards, Post Affiliate Pro is now my favorite system. It's got a ton of features and it's great pricing for a lot of affiliates/traffic. Also, if you are the brave type and want to host it on your own server, you can get the system for a one time fee, and then just run it yourself, and not have to pay a recurring fee, which is very economical. 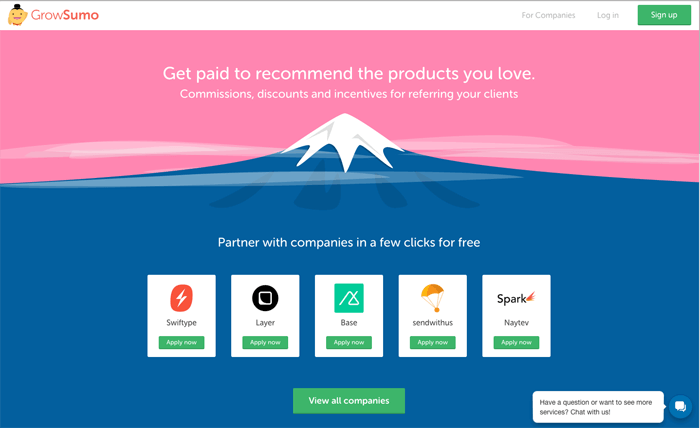 Description: Not exactly an affiliate system, Saasquatch is more focused on getting your customers to refer other people to your service in order to be rewarded. 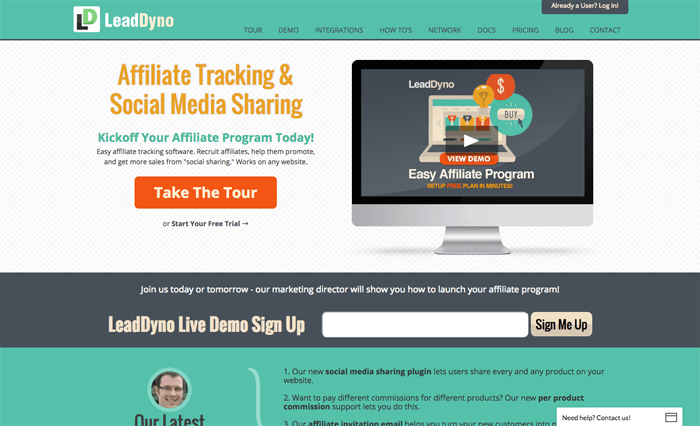 It could be awesome to combine this with an affiliate program like LeadDyno, so that both your customers and affiliate marketers are working to build your business for you. 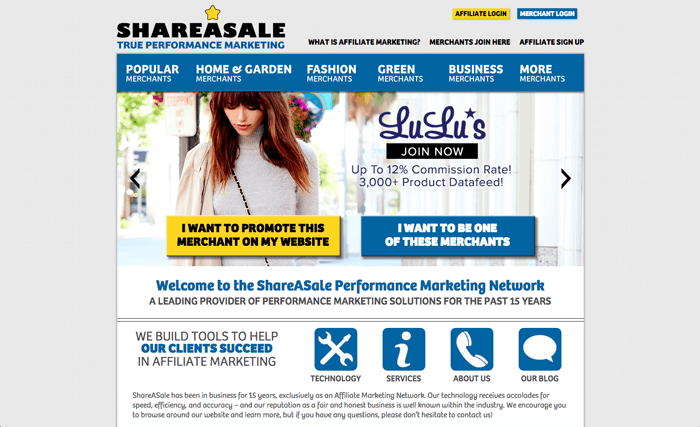 Description: Another popular affiliate system, although not as refined as LeadDyno, Shareasale seems to have a bigger network, and is more heavy on data and analytics, although their fee structure may be a bit heavier too. However, overtime, the lack of a monthly fee can make Shareasale a cheaper option that LeadDyno, which charges $49 to $79 a month for the system. Weigh your options and bust out your calculator and figure out which is best for you. Description: A much newer system with a beautiful backend interface, Growsumo went through Y Combinator recently and has mostly modern Startups as its clientele. It does not yet manage actually paying out, like most of these systems do, but it does track how much you owe affiliates, and then you could just pay your affiliates with Venmo, Paypal, a check, or whatever you want. It's definitely the most elegant of all the affiliate systems we've seen. No upfront costs, they just charge 3% of the value of the account gained from the system.